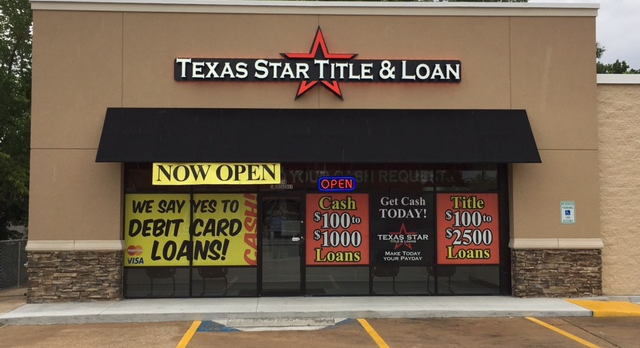 Title, payday and cash loans.Longview-Mineola. East Texas' best and friendliest! 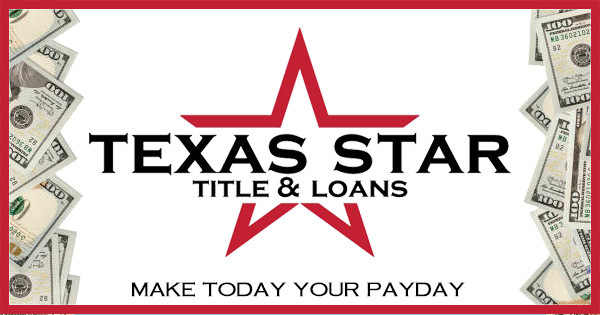 At Texas Star Title and Loans of Longview and Mineola, every day is payday. We know that everyone needs a little help here and there, whether to cover a last-minute emergency or unexpected bill. When your budget falls short, we help pick up the slack with short-term financial solutions that put cash in your hands the same day you apply. We offer a simple application process with absolutely no credit checks, regardless of whether you have good credit, bad credit or no credit at all. 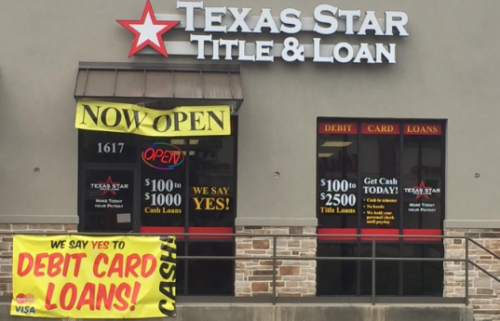 To apply for a loan, simply provide us with your proof of income, a valid ID, proof of address and either your clear Texas car title or a bank account statement and personal check. 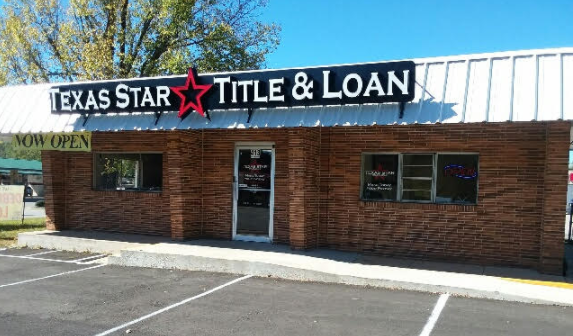 Whether you need a few hundred dollars to hold you over until payday or need to use your vehicle to secure a larger loan, we want to be your instant cash, title and payday loan store. 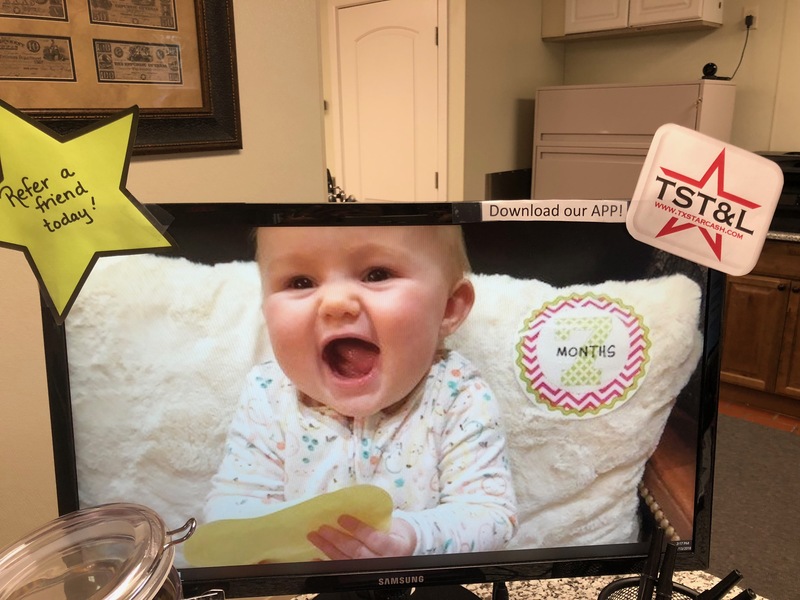 Our Longview or Mineola team will walk you through the application process step-by-step and provide an answer for your application in just minutes. Don’t face late fees, bank overdraft fees or other costly charges that could be avoided with a short term Mineola or Longview cash loan. Come to us when you’re in a pinch, and walk out with money in your hand. 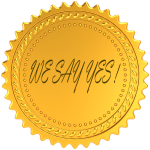 We say ‘yes’ to your cash request! Customer information form please share with us! Please share with us your information and we will share with you the chance at some cash!